← Why there will be expectations. Going back to Georgia, in 2012 Alabama plucked Geno Smith, Dillon Lee, Brandon Greene, Kenyan Drake, Tomlinson, Dakota Ball, Kurt Freitag and Adam Griffith all out of the Peach State. It’s also where it found Chance Warmack in 2009, along with Adrian Hubbard, Brian Vogler, Blake Sims and Austin Shepherd a year later. In 2016, the only addition was tight end Miller Forristall. This year, it’s safety Xavier McKinney. “There are a lot of guys on the roster at Florida State, Ohio State and Alabama that are from Georgia that would have maybe made things a little bit different for Richt in his final few years,” Crabtree said. That’s not the case in this class, however. Second-year coach Kirby Smart signed five of the top six players from his home state, including all three five-star recruits. … and again, keeping in mind all the usual hedges (only one year, you gotta coach ’em up, etc. ), you have to think Smart is at least laying the groundwork to take the program to a higher level. Which is why I find Bill Connelly’s first 2017 projected S&P+ rankings of interest. Georgia comes in at 20th, which seems realistic, but it’s Bill’s breakdown in three categories that is illuminating. One of those numbers is not like the others. There’s a lot of potential there. Can this staff unlock that? that returning production number is funny. We return a lot of guys that just havent produced….where as I bet a lot of the teams ranked 40th in production lost a lot of players and hence the lack of returning production. beat me to it. Probably looked similar previous year as well. While he did do great, he did not sign the “top” player in the state. I only mention this because of the reference in the post. I think your question today is just as valid as it was in August. CMR was a pretty good recruiter but not elite. CKS seems elite. CMR recruited for his system had had mixed results — depending on coordinators. Too early to tell with CKS —- which is why the question today is no different from 12 mos ago. As far as 2016 and the assistant coaching goes, I thought Rocker, Sherrer, Shuman, Tucker and McGee were pretty steady from start to finish. After a lousy first few games Coley’s WRs appeared to very slowly improve as the season went on. Chaney is no more than average as an OC and QB coach. Pittman and Beamer were consistently poor throughout the season. We desperately need better coaching on the OL and STs. Athletes growing up in states like Ohio, Louisiana, Alabama, Michigan, Oklahoma and others seem to look to the state school first for college football. CKS needs to create that mentality in Georgia. If we could cherry pick our state’s best players each year, our level of talent would be overwhelming. And, by the way, the same goes for men’s basketball and probably several other major sports at UGA. Atlanta could be the engine that drives a UGA sports resurgence. For a long time, many of the best players moved her from somewhere else as people fled the rust belt in the 80s and 90s. That was a very significant part of the population. Less that half of my High School graduating class was born in Georgia back in the late 90s. I would actually guess that it was around a third. A lot more the of kids were born here to parents that are from here. I expect an increase in “brand loyalty” to come with it. I think Mr. Single Malt is right in the 1-4 year horizon and Cocaine Addict is right in the nid to long term. Roots take time to develop. Nid Mid, well you get the idea. There were a couple of stories where Holmes is spending time in an opium den, it is usually part of the case… even though he enjoys it. His drug of choice was cocaine… preferably “a seven-per-cent solution”. Well there you go. Thanks for the education. As a teenager I remember have to research what an opium den was, I guess the cocaine references sailed over my head. I thought you might have been watching the CBS series “Elementary”. In that interpretation, Sherlock is a recovering heroin addict. He explains the obvious to children 😉 . 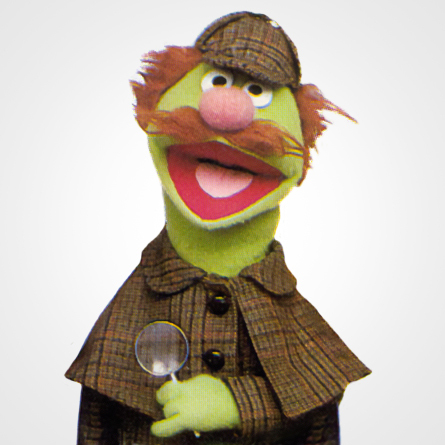 Though, I am a big fan of Sir Arthur Conan Doyle. The age old argument has been that good coaches have good systems but great coaches can coach marginal players to be great. Saban has a great system. His system starts with getting the very best players consistently with the exception of QB (face it he has competed and won championships with QB’s that were marginal at best) . He then instills his philosophy in his team. From the standpoint of actual X’s and O’s I’m not convinced that Alabama is that much better than all the rest (they are actually pretty vanilla). Compare and contrast Alabama with New England. Belichick doesn’t have but one truly great player, Brady. Yet with his system and philosophy he takes these marginal players and beat teams with better overall talent. He is a master of the X’s and O’s. We are probably not going to out recruit Saban, even if we get the best from Georgia. He has now established Alabama as a national brand and can recruit throughout the nation. If UGA is going to have even a punchers chance of winning the SEC Kirby has to get us to a level of the X’s and O’s that give us the winning edge. That my friends is what we must wait and see if it happens. When will Bobo get tired of being at a school that is dependent upon out of state players to enhance his program? Maybe he can swallow a little pride at being a HC and come back as: “Assistant HC and OC” at UGA? He is not only a skilled evaluator of talent, a good recruiter, a QB coach, and an OC. Tempt him with the “old schoo'” angle, a substantial salary and the opportunity to return to the SEC and Georgia. He would be an invaluable addition to the staff and one that could be a program changer. I don’t disagree that Richt needed to recruit better, but which of these guys was a front line starter for Bama? Blake Sims, Warmack and Hubbard. The rest were back ups, who rotated. Pass rush wasn’t an issue for UGA while Hubbard was at Bama. Warmack would have been nice. Blake Sims wasn’t expected or recruited to play QB. Without Lane, that wouldn’t have happened. Auburn, FSU, Clemson, and last 4 years Ohio St were much bigger threats for stealing recruits than Bama. Now would they have helped with depth? Sure and absolutely, but I don’t see many names on that list who would have been impact players at UGA.